Our gorgeous spring weather has turned back to rainy Vancouver miserableness, so instead of an expedition outdoors, I will do some studio shooting indoors at school (as a short break while writing the last paper of my thesis on caracara predation behaviour). 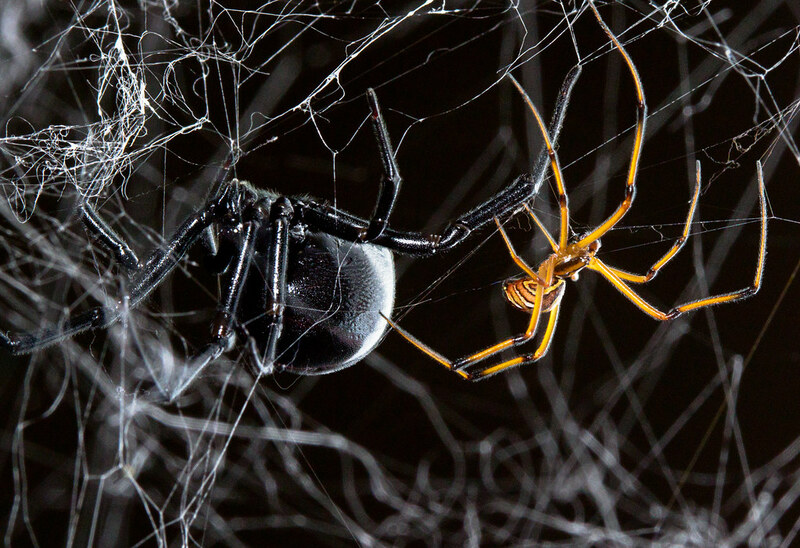 The target of the weekend’s shooting will be captive and indoor spiders such as this male and female western Black Widow (Latrodectus hesperus). This entry was posted on April 5, 2013, in Weekend Expedition and tagged animals, photography, Spiders, studio, Weekend Expedition. Bookmark the permalink.